Instagram is one of the most widely used social media platforms, and therefore an excellent marketing channel. That’s why even a casual glance at its accounts will reveal lots of big brands. Its unique photo-sharing platform offers brands one-of-a-kind opportunities to gain visibility and engage in dialogue with their customers. It’s highly likely you’re already doing your best to market your business through Instagram. 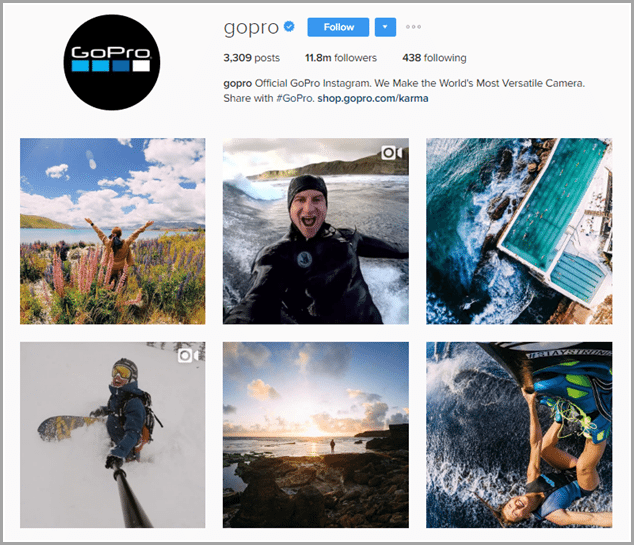 Here are nine of the easiest (and most effective) ways to increase your sales on Instagram and optimize your content. Instagram is a visual platform. So first and foremost, you should only post high-quality images. Ideally, your images will be creative and eye-catching, and appropriately highlight the products you wish to promote. Once your customers land on your profile, they must be able to recognize your brand immediately. 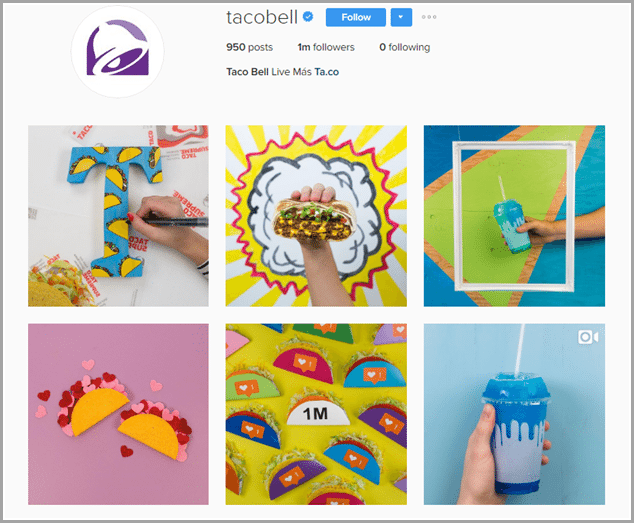 Check out some of the images posted by Taco Bell below. As you can see, they’re playful and colourful, and fit organically into their overall branding. Ensure that every image you post on Instagram matches your overall branding and business strategy to lend them that authentic brand feeling. If your branding is sleek and minimalist, it should be sleek and minimalist on Instagram. Pick an aesthetic and stick to it. This extends to Instagram captions. Do not switch between different tenses and tones of voice. Keep it simple. Consistency is key. 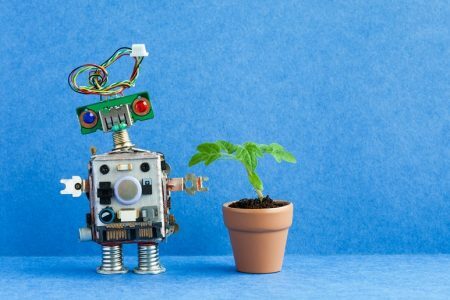 While original images are always best, sometimes stock images can help add some variety to your account. There are many different royalty-free image websites where you can source amazing high-quality photos. Better yet, web tools like Canva allow you to create custom images to promote discounts, giveaways or contests. Remember, visual representation of your brand online may be the first experience your customers have with it, so make sure it’s great. 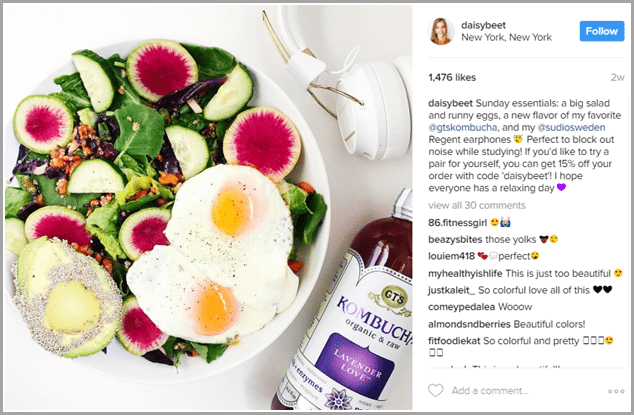 Advertising on Instagram can help you reach a new and targeted audience. It’s a worthwhile investment, especially if your brand or business is fairly new. You can plan out your Instagram ads in such a way that you reach the customers who are most likely to be interested in your products. That’s exactly what InflowStyle did with their Instagram ads. The fashion-forward activewear brand started an advertising campaign on Instagram that targeted women aged 25 to 34 in America. InflowStyle’s ads included lifestyle photos with light tones and a ‘Shop Now’ button that took users to a product or category page on their website. During this campaign, InflowStyle experienced a five-fold increase in sales. Their cost per conversion also decreased by 80%, while their return on ad spend increased six-fold. The lesson to be learnt from this is that finding a successful strategy on Instagram can be a catalyst for your business. For a long time, the issue with Instagram marketing was that you couldn’t put clickable links in your post, therefore brands had to direct their fans to the link in their bio instead – and continuously update that link. But now, you can include links to your website in Instagram posts – if you advertise. Instagram is also now partnering with Shopify to take things a step further and offer product tagging to provide a seamless customer checkout experience. 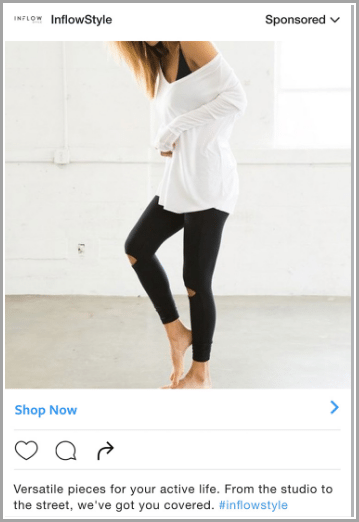 To further improve the effectiveness of your Instagram ads, use retargeting to engage people who’ve already visited your website – in other words, consumers who’ve already expressed a level of interest in what your brand provides. Retargeting is essentially advertising that specifically targets website visitors who leave without making a purchase. It was originally rolled out on Facebook in 2015 before being added to Instagram’s ad tech arsenal in 2016. For M.Gemi, this proved to be a huge success. In fact, their Instagram campaign was considerably more successful than their campaigns on other social media platforms, despite targeting identical audiences. 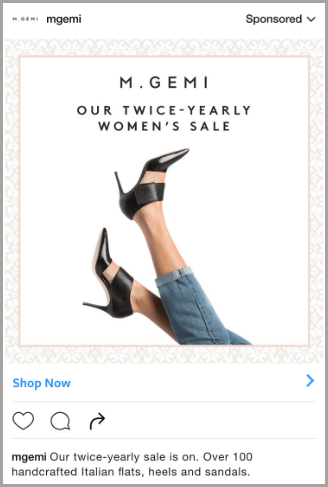 Instagram yielded twice as many conversions as other channels for M.Gemi with 25% of their total sales coming from Instagram. Their cost per acquisition was also three times lower than other channels. You can focus on one specific product when retargeting, or use its carousel format to highlight similar items to help nudge customers in the right direction. To get started, simply download the Facebook Pixel and upload your entire product catalog into Business Manager. The ads will then be automatically triggered based on the products viewed on your site and the uploaded product images, with Facebook’s backend system determining the most relevant content based on how you’ve categorized your ads. Influencers are Instagram personalities who already have an established audience. Their followers look to them for purchase recommendations and advice, so it should come as no surprise that increasingly brands are turning to influencers to promote their products. As a visual platform, Instagram offers the perfect avenue to engage your target audience using the help of influencers. 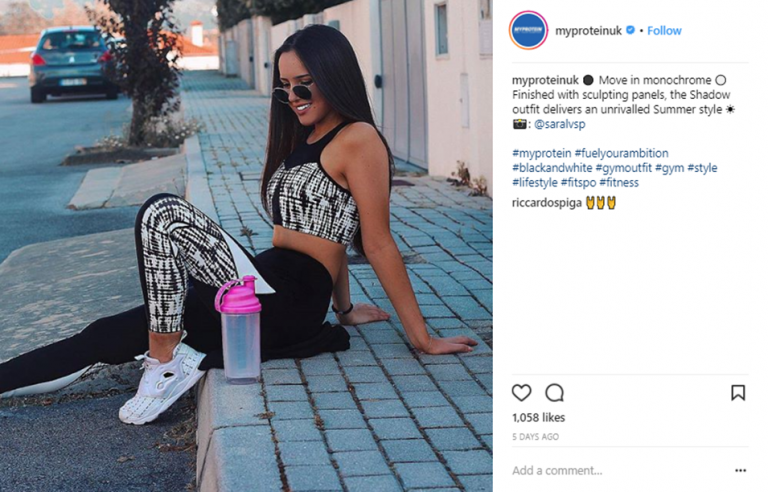 A good Instagram influencer marketing strategy can help you get high traffic and more engagement, which ultimately brings higher returns/conversions. To increase the number of sales generated by influencer content, provide influencers with a discount code or promo link. If you intend to use multiple influencers to promote your products, assign each a unique code or link so you can track their individual conversions. For example, Glossier promotes their products using beauty influencers on Instagram. As you can see in the screenshot below, micro-influencer Grace Abbott has provided a unique promo link for their products. By following the link, her followers can get 20% off on their first order from Glossier – and Glossier can see how much Grace Abbott is worth to their brand down to the last dollar. 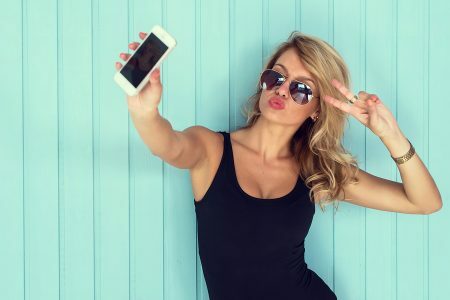 Instagram influencer marketing is also a great way to boost your search engine ranking because it literally gets more people talking about your brand. 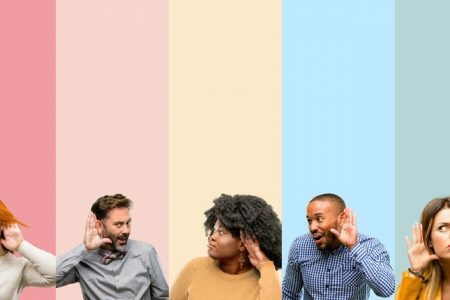 Studies have revealed that in comparison with paid advertising, customers generated through word-of-mouth advertising have a 37% higher retention rate. Although high-quality images of your products may grab people’s attention, they may not always be enough to drive sales alone. 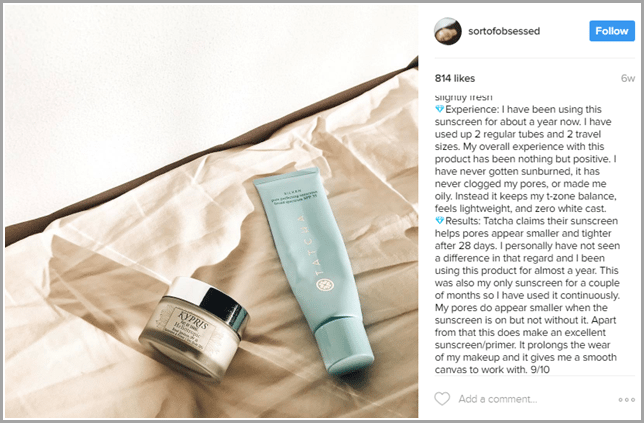 For your Instagram content to have a real impact, showcase the experience of actually using your products. Tell a story through your Instagram content using photos and videos that show your products in action. For example, if you’re selling a particular ingredient, you can post images of dishes that can be made with the ingredient. Include the recipe in the caption, and perhaps describe the perfect occasion in which to enjoy the dish. Alternatively, if you’re selling clothes, you can show people wearing the clothes in different contexts. Include a caption that describes the experience of wearing the clothes or evokes the texture of the fabric. GoPro does an excellent job of showcasing their product in action. All of their Instagram posts are photos and videos taken using their camera. Put your products in motion by showing people the ways people love and enjoy them, and helping them understand how they too can use and take joy in them. Consumers don’t like being overtly sold to. So even when you use an influencer to promote your product, the content shouldn’t be too ‘sales-y’. That means it should be interesting and attractive, but compatible with the influencer’s usual content. Otherwise, the content could seem overly promotional and insincere, which could negatively impact how the influencer’s followers feel about your brand. Before you start the influencer outreach process, make sure you’ve defined what it is you’re trying to get out of it. Whatever your aim, the goal is never to get an influencer to post something that looks like an obvious brand push. Engage only influencers who fit within your brand and ensure you have carefully outlined your deliverables. In the post above, the content marketing is in line with the influencer’s usual lifestyle-focussed posts. The focus is on food, in this case, a salad. The headphones are cleverly placed nearby, with a caption that mentions how they’re excellent for blocking out noise whilst studying. The post is about the headphones, but it isn’t immediately apparent that that’s the case. It seems like a product recommendation, not a product push. User-generated content is another form of word-of-mouth advertising. Your existing customers help create content that showcases your product. This in turn helps promote your product or service to the new customers or their followers. What could be easier, right? However, some customers may not readily share images of your product without your encouragement. To encourage them, you will need to offer a reward or incentive, such as a chance to win something if they post photos featuring your product or hashtag. For example, you could offer a chance to be featured on your official Instagram account, or a chance to win freebies or gift cards. Make sure you encourage them to use that branded hashtag to help you track the effectiveness of your efforts. 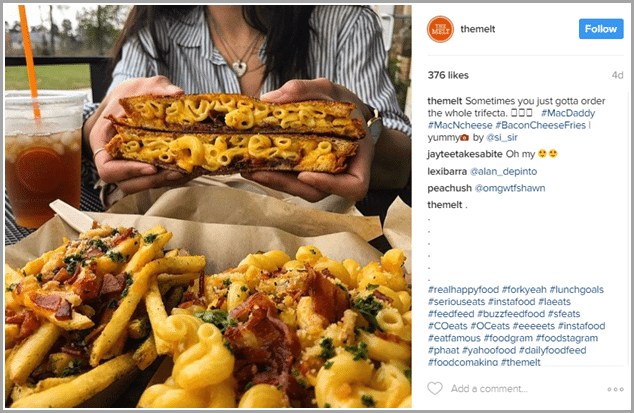 The Melt regularly reposts photos taken by their patrons. As you can see in the screenshot below, they always appropriately credit the user in the photo, and add funny captions that their followers can relate to. Celebrate your existing customers. Think of content from them as a kind of living social proof for prospective customers who still have doubts about buying from you. As a bonus, featuring user-generated content is an excellent way to show your customers how much you appreciate them. People trust influencers because they’re like everyday consumers. So their opinions and advice seem more genuine than a random celebrity endorsing your product. Brands who work with influencers do so mainly because they want to engage the trust of their target audience. A good way to do this is to ask the influencer to be honest in their reviews, even if they find some negative aspects to your products. When an influencer honestly shares some of the features they don’t like, their positive feedback about other features seems markably more genuine. Customers know that every product has some pros and cons. So invite your influencer to post ‘warts and all’ reviews to help you win the trust of your target audience. Beauty influencer Adri regularly posts honest reviews about her experiences using certain beauty products. She talks about the results she gets from each product, as well as whether or not those results are in tune with the product claims. In the screenshot below, she mentions that her experience using a certain product has overall been positive. But she doesn’t hesitate to mention that the product fails to live up to the claim that it reduces pores after 28 days. Is it still a good outcome for the brand? Yes. Because she lists enough positive ‘pros’ for the product to outweigh the negative ‘cons’, and gives it an overall score of 9/10. Her honest appraisal both maintains her credibility and increases fans for the brand. Humor goes a long way in engaging an audience. To increase sales, try to implement witty puns and relatable humor into your Instagram posts. The goal is to improve people’s perception of your brand. And you already know how much positive brand perception can affect sales! 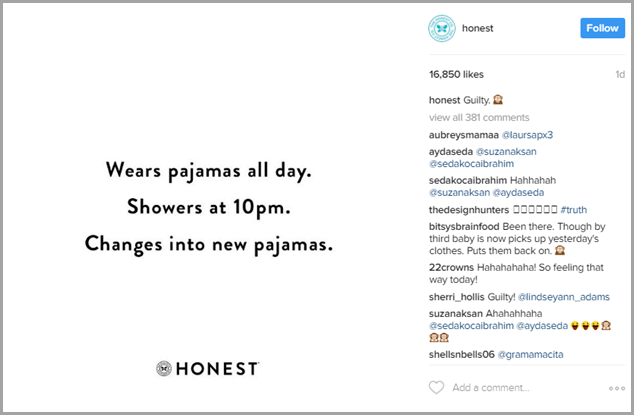 The Honest Company engages their Instagram followers by regularly posting funny, relatable quotes for parents. You can see in the screenshot below how a lot of their fans respond to their humor, and talk about how relatable it is. The brand also posts fan-submitted photos with witty captions. 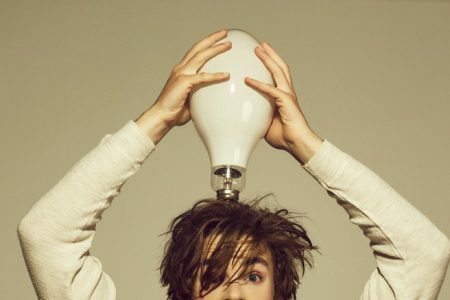 If humorous content doesn’t fit with your brand, aim for thought-provoking and inspiring – both recipes for shareability. Instagram is the perfect platform for aspirational posts that are very, very relatable for ordinary people. Offering discounts or giveaways is one of the most effective ways to boost your sales on Instagram. It’s a cost-effective method to promote your products and increase sales. Through this method, you can also increase the awareness of your products or services as customers share news about the offer with their friends. This then increases your engagement rate. Once your Instagram followers engage with your content in some way, you can acknowledge them and offer them a discount. When you offer giveaways or discounts, it naturally attracts prospects and encourages them to buy your product or services. If your customers love your products or services, they won’t hesitate to talk about your brand and promote it. 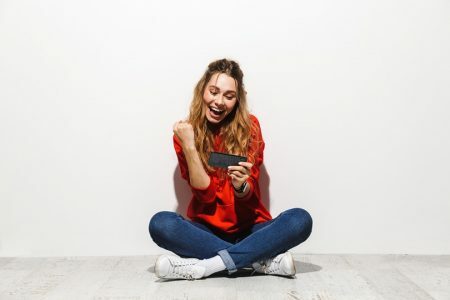 To reward such loyal customers, you can give them attractive offers such as a VIP discount or a membership to the top tier of your rewards program. 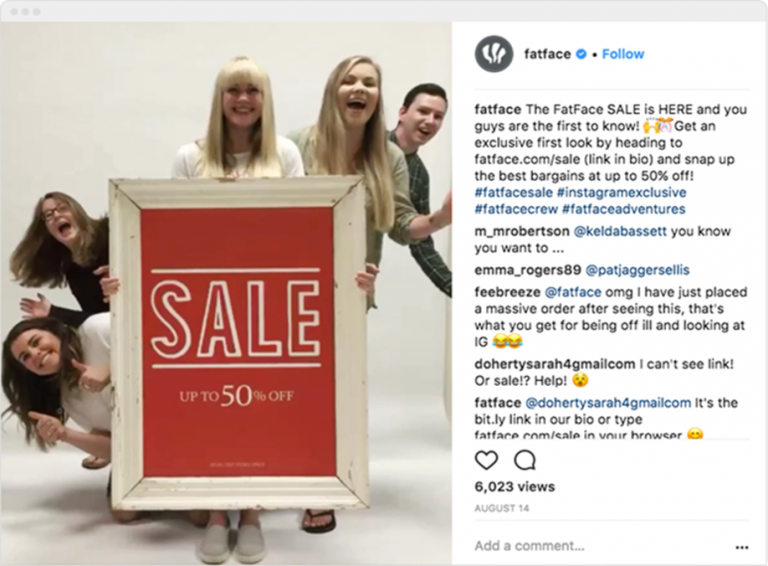 For instance, FatFace, a British clothing brand, offered huge discounts on their clothing line, which they announced on Instagram. Their followers were super excited by the discounts, as the post received more than 6K views. Instagram has released their Instagram Stories feature, through which you can post and share videos and images with your loyal followers. 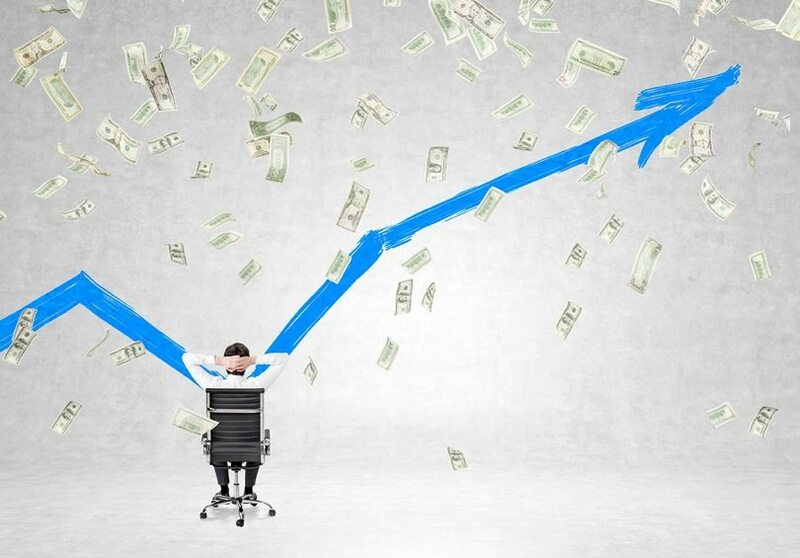 Brands can really take advantage of this feature to boost their sales. But how can you use it effectively? If you have shaky hands, buy a tripod. A tripod will keep your smartphone or camera stable and steady when recording videos and taking photos. Capture and share the brand’s story or journey with your followers in your Instagram Stories. Use your product images to create a video and share it in your Stories. Make sure you use natural lighting. Capture and share the experiences of your customers using your products or services. Take some behind-the-scenes shots and videos, relevant to your product or services, and include them in your Stories. To attract customers and boost your sales, even more, you can use hashtags relevant to your services or products. When you use the right combination of hashtags, it becomes easier for your target consumers to find you. This method will increase the awareness of your brand. But it’s not as easy as it sounds to come up with the right mix of effective hashtags. You need to invest your time and effort into extensive research. Make sure you use a balanced combination of unique and common hashtags on your Instagram posts. Experiment with different combinations to see which works best for you. Also, if you are working with influencers, ask them to use the same mix of hashtags. For instance, Lacroix is a sparkling water brand. In the screenshot below, you can see that the brand has used a mix of various hashtags and managed to gain more than 1600 likes. Just like this brand, you can also research and use the correct mixture of hashtags to increase your brand’s visibility. You must keep in mind that Instagram is not a platform meant for selling and buying. People are there not to buy from brands but rather to socialize virtually. So you should post content that is not too pushy or salesy. If you want to utilize Instagram to sell your products, you have to do it in a creative manner. This means you need to provide prospects valuable, engaging content. To do so, you can post pictures inspired by real-life situations or share pictures of customers using your product. You can also post photos and videos with tips or recipes including your products. For instance, My Protein is a fitness brand. Check out their posts on Instagram. 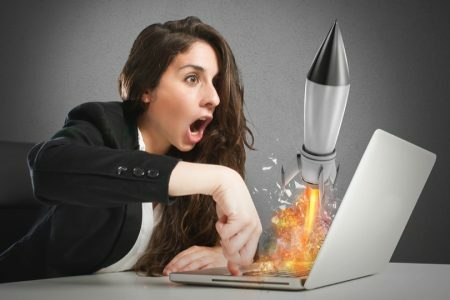 They’re not too salesy, but at the same time, they encourage prospects to make a purchase because the pictures they post are from real-life situations. The post in the screenshot below gained more than 1,000 likes in less than seven days. You could even take it a step further and work with Instagram influencers. Influencers are known for their ability to promote products in a way that’s convincing without being pushy. So you could try finding relevant influencers in your niche who would speak on your behalf. Social media is constantly evolving, and Instagram is no exception. The above tips should give you some great ideas on how to increase your sales on Instagram. As you can see, influencers can make a huge difference to your marketing efforts, and provide even more opportunities to engage with fans and share great photos and videos. With more than 600 million monthly active users, Instagram is giving brands some great results. It’s a place where people turn their passion into purchases. Which of these tips will you try first? Guest Author: Shane Barker is a digital marketing consultant who specializes in influencer marketing, product launches, sales funnels, targeted traffic, and website conversions. He has consulted with Fortune 500 companies, influencers with digital products, and a number of A-List celebrities. Follow him on Instagram, Facebook, Twitter and LinkedIn.